Thursday Night/Saturday Morning Jam. Open jam Thursday night from 6:30 to 8:30pm and every Saturday morning from 10am to 1pm. Musicians and fans are encouraged to attend and play. There is no admission fee. For more information, visit http://www.bctma.org/ or call 252-946-2504 for more information. Join us for our 13th Annual Golf Classic on Friday, April 26 at The YMCA at the Pines. We are looking for foursomes, sponsors, hole sponsors and raffle prize donors. The goal of Tech Café is to make today’s specialized technology accessible to our local tweens & teens. Themes are chosen to be explored in a relaxed and social environment. Topics to include: game theory, stop motion animation, electronics, and more. Fee: $5 for members, $8 non-members. Refreshments also available for purchase. 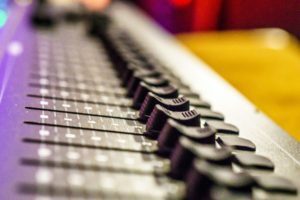 Washington, NC: The Beaufort County Traditional Music Association’s 11th Annual BoCO Traditional Music Festival will be held April 27, from 10:00 AM until 9:00 PM at the Turnage Theatre in Downtown Washington. There will be free fun music all day and evening for the whole family. John Howie, Jr. and the Rosewood Bluff is the rockabilly country headliner band. Admission is Free: Donations are Appreciated. Snacks and non-alcoholic beverages will be available for sale. 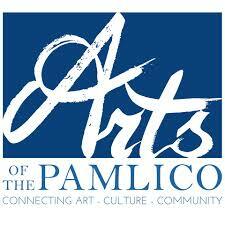 The festival is co-sponsored by Arts of the Pamlico. Donations made during the festival will go to their “Raise the Roof” Campaign Fund for the Turnage Theatre. Come enjoy the whole day or just stay for a few events. Don’t miss this good time! The festival kicks off in the Turnage Gallery with BoCO Acoustic Jam at 10:00 featuring BCTMA musicians. Bring your instrument and join the fun. There are also special jams including a 12:15 Bluegrass Jam, an 1:15 Old Time Jam, and a 2:15 Folk Jam. Upbeat Regional Bands will be performing starting at 4:00 with Uncle John and the Hollis Trio. This fast paced bluegrass band will get your toes a tappin’! They are followed at 5:00 by “Twisted Knot” an exciting Celtic band, and super guitarist JD Joyner rounds out this set at 6:00 PM. Headliner band John Howie, Jr and the Rosewood Bluff will take the Turnage Main Stage at 7:00 and play their entertaining brand of rockabilly honky-tonk country songs until 9:00. The drawing for the winning ticket for the Martin DRS GT Guitar, Dean SADC-TSB Guitar, and Blounts Creek Idle About will be held at 9:00 PM. $5.00 raffle tickets will be for sale at the festival. Drawing for the handmade music theme lap quilt will also be held at this time. $1.00 tickets are available. The Beaufort County Traditional Music Association is a grass roots non-profit organization that has promoted the performance and enjoyment of traditional music in Eastern NC for over ten years. Thanks to the assistance and oversight of Arts of the Pamlico, the BCTMA has grown into an active group of musicians and supporters dedicated to the nurturing and sharing of their love of traditional music. For more information, please visit www.bctma.org. Join us on Saturday, April 27th as we welcome indoor and outdoor vendors to the CPOA for lots of shopping, socializing and selling! We welcome all military spouses, active, retirees, CPOA members and their spouses, etc MILITARY. Email cgscecvendorcraft@gmail.com for an application Thank you for your interest in this event!!
. If it is nautical, you’ll find it here. Buy, sell and trade in this waterfront. Call 252-947-1487 for more information. There will be food for sale, local crafters and vendors selling their items, and music throughout the day. This fundraising event allows the participants of The Blind Center to actively advocate for the blind and visually impaired by finding sponsors and rocking in their favorite rocking chairs. There is no admission cost. THIS IS NOT OUR EVENT. We are a vendor at this event and want to promote this awesome event. AGAIN THIS IS NOT OUR EVENT. With one of the finest scores ever written The King and I is a testament to the lavish heritage of gloriously romantic musical theatre – it is the greatest musical from the golden age of musicals. Concessions will be available for purchase before and during the show. This iconic musical is being presented for free with a suggested $5 donation. Come let your toddlers explore the center, bring a snack/lunch to enjoy in the garden afterwards. $5 per child, adults and infants are free. For an additional $1, there is a make-n-take activity available (changes monthly). Please call ahead if doing the activity, so that we can prep enough. Golf Tournament Scholarship fundraiser. Registration 11:30. Lunch 11:20-12:30. Shotgun start 1:00pm. $85.00 per player includes lunch, cart, practice fee and green fees. Awards for longest drive, closest to line and longest putt. Team prizes in each flight. Hole in one prizes. Visit www.beaufortccc.edu/Foundation for additional details. Riverbash is back! Join us for Riverbash 2.0 May 3-5, 2019: Fun for the entire family (including all you STAR WARS fans), live music, food trucks, paddling and water activities, boat demos, 5K race, and the 1st Annual Perquimans Pet Show! Saturday nights highlight will be a good ole fashioned Church Street Block Party featuring ELLIS DYSON AND THE SHAMBLES! The second annual Ride for Rose Haven: Supporting Women Veterans bicycle ride takes place in Washington, North Carolina. Hosted by Pamlico Rose Institute for Sustainable Communities, along with community sponsors, all proceeds from the Ride for Rose Haven supports the Rose Haven Center of Healing and its programs to help women Veterans reintegrate into communities and build resilience. The Ride for Rose Haven is open to all interested, Veterans and non-Veterans alike. The Ride for Rose Haven offers a choice of day rides (30, 60 and 100 mile) that start and end on the picturesque waterfront in Washington, NC and each ride tours the scenic North Carolina Inner Banks. All rides will share a common start at 8 am from Washington, NC Festival Park. Same day ride registration and rider tee-shirt pickup is at Festival Park starting at 630 am. Each ride will be supported by fully-provisioned rest stops and SAG support will be available on each ride. Cost for the RFRH is $50 per rider for early bird registration. After April 15, 2019 the cost is $75. Ride for Rose Haven tee-shirt included. The Ride is a part of the second annual Healing Vets Weekend held in Washington, NC to be held May 3rd and 4th. Also occurring on May 4th at Festival Park will be sunrise yoga prior to the Ride, a Veteran Outreach Fair and a musical concert for finishing riders and the local community. There is ample lodging for out of town riders in Washington, NC and the surrounding area, click here for lodging details. For more information, contact robert@pamlicorose.org. Come to downtown to enjoy all kinds of art and visit/shop at our local businesses and galleries! Port Discover offers Kids Art-In during the First Friday Art Walk for members of Port Discover. Kids will enjoy a science activity, center time and pizza while parents can enjoy an evening downtown out. We are having another Gigantic Flea Market and Yard Sale at Historic Hope Plantation on Saturday, May 4th, 2019 from 8 am until 2 pm. If you have any questions, please call 252-794-3140 or send an email to info@hopeplantation.org. This event is dedicated to preserving the heritage of Hope Plantation and Bertie County thru the Hope Operating Fund. Any items you would like to donate would be greatly appreciated. Please make checks payable to: Historic Hope Foundation. You can mail your completed form and payment to 132 Hope House Road, Windsor, NC 27983 or call 252-794-3140 to make arrangements to deliver in person. For details, please call Kait Neeland at 252-745-4121.